Caledonian Road was constructed c.1826 and is named from the Caledonian Asylum for Scottish children established on a site nearby in 1815. The road was referred to as the ' New Road from Battle Bridge to Holloway' in 1841. 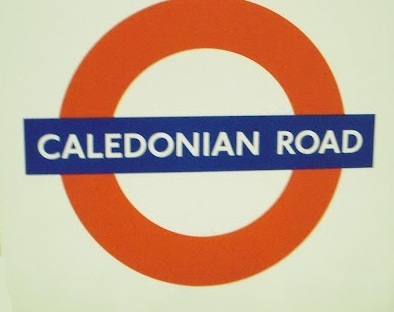 Prior to the station's opening, the name of BARNSBURY was considered, but it opened as CALEDONIAN ROAD on 15 December 1906.